Film & Television Studio International takes Ongoing Screen Acting Programs to another level. We are proud to say that there is not another acting studio in the country that comes close to our illustrious group of trainers and industry guests. Our studio is renowned for going directly to the source, and that lies with the Show Creators, Heads of Network, Heads of Drama, Executive Producers and series Producers. 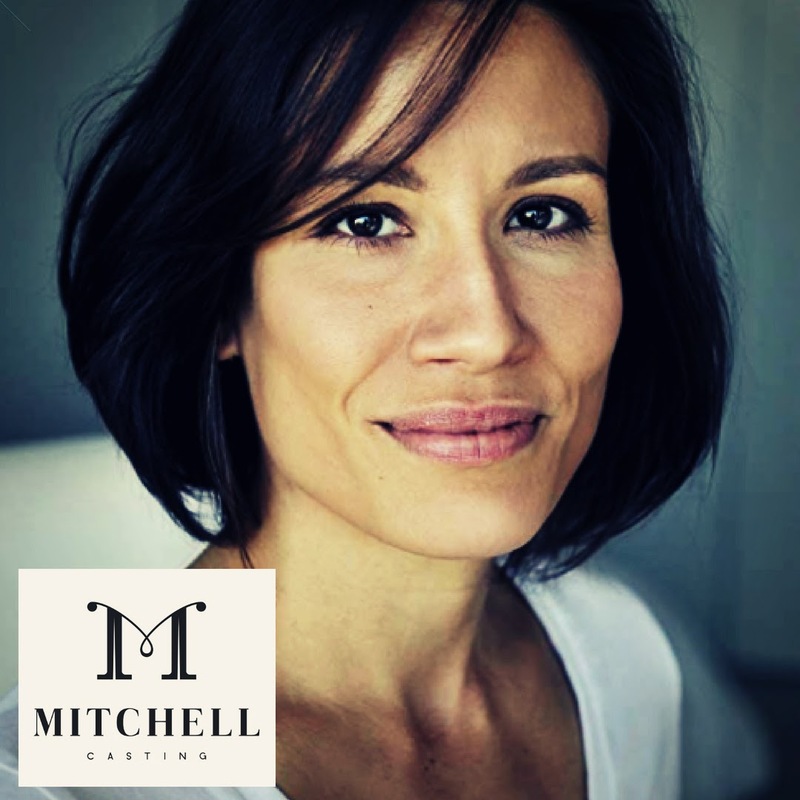 These industry professionals are the decision makers and we are beyond thrilled to welcome to our studio for the very first time, Sydney Casting Director, Amanda Mitchell from Mitchell Casting. This award winning casting director is renowned for "some of the best cross cultural casting seen on Aussie TV". Amanda will be joined by Artistic Director of Film & Television Studio International and CEO of McMahon Management, Craig McMahon, in Week 8, when they will view your work and provide constructive feedback. 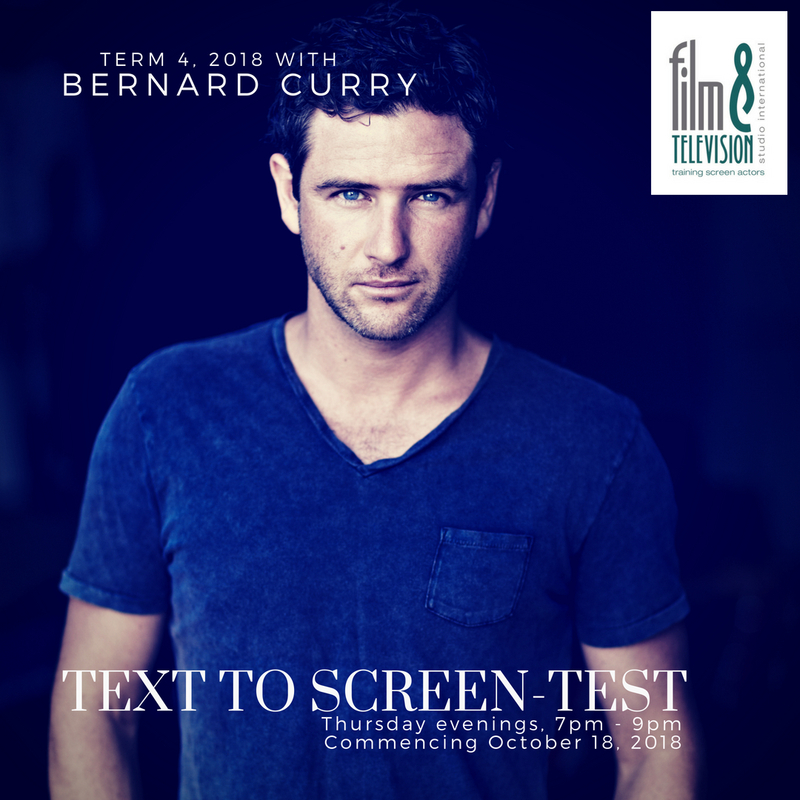 Text to Screen-Test has been facilitated by some of Australia's most celebrated actors over the years. Term 4 is no exception. 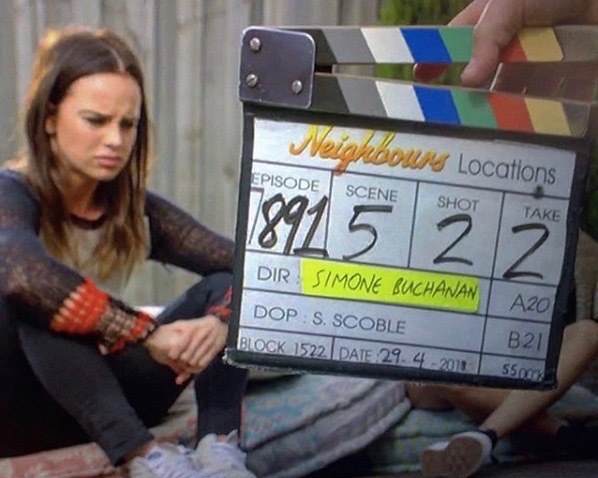 Neighbours Director & Patron of Film & Television Studio International Simone Buchanan is back in studio, together with Wentworth's leading man Bernard Curry. Australian TV icon Scott Major will also join us this term. 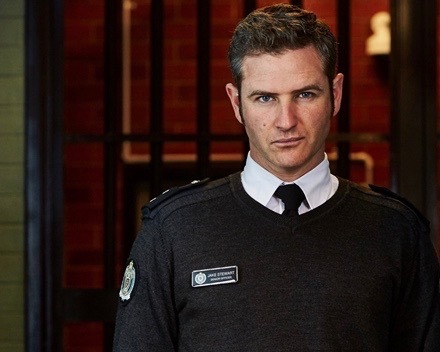 After working as an actor for over three decades, Scott is now one of the series directors on Neighbours, and has just recently directed the first season of hot new Network Ten Drama Playing for Keeps. An incredible line-up of trainers and special guests, to say the least. 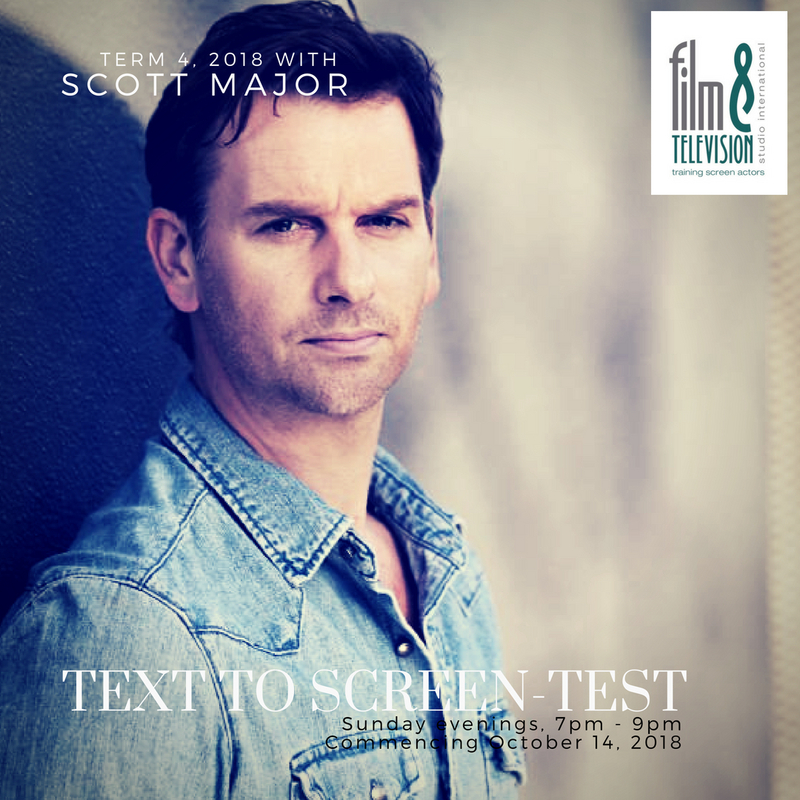 Text to Screen-Test has been meticulously shaped to guide and encourage students to work on their specific areas requiring development, whilst bringing forth their strengths when screen-testing for prime-time drama. Simone, Bernard and Scott work with actors both individually and as a company, assisting students to POP from moment one of an audition. Scenes are assigned to students each week along with an outline on the course content and prep work for each session. For actors who participated in previous terms, they have another opportunity to work in this ongoing manner with our outstanding trainers & special guests. Continuing across the terms ensures stability in training & rehearsal, and consistency in terms of the guidance & feedback offered, with scenes selected to target specific areas of weakness and strength. The studio also welcomes actors to the program who have not participated in previous terms as they can begin this process, leading to a stronger understanding of the requirements of screen testing. 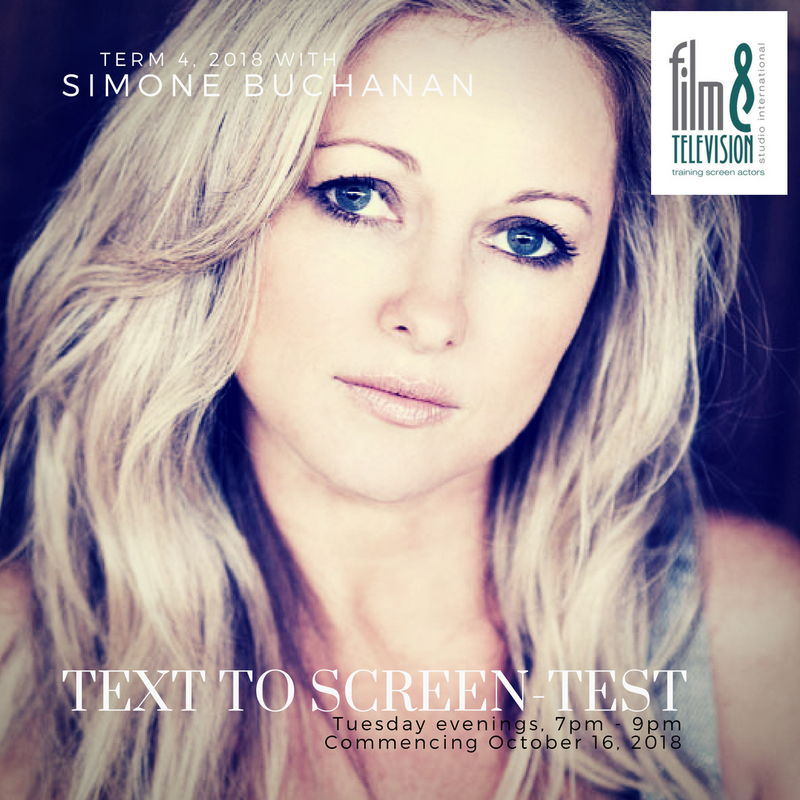 On the last week of term, students will be able to put their hard work into practice during their screen-testing session with Amanda Mitchell & Craig McMahon. 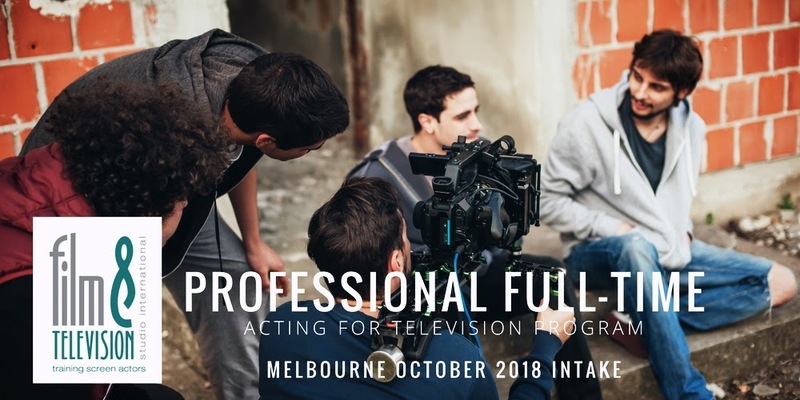 This is an incredible opportunity for our actors to meet and greet Amanda, and to showcase their scenes to working professionals at the very top end of their fields. What a fantastic way to finish an incredible year of training at Film & Television Studio International. NB: Previous industry guests include but are not limited to: Jo Porter (Fremantlemedia Australia Head of Drama), Imogen Banks (creator, writer and producer of Multi-Award Winning Television Series Offspring; Puberty Blues; Paper Giants: The Birth of Cleo, and Tangle, and Producer of mini-series Gallipoli; Party Tricks; Dangerous and The Beautiful Lie), Jason Herbison (Executive Producer, Neighbours), Amanda Crittenden (Series Producer, Wentworth - Series 1, 2 and 3), Foxtel's Head of Drama, Penny Win (The Kettering Incident, Devil’s Playground and Deadline Gallipoli), and Show Creator/Producer/Director and writer Andrew Prowse (INXS-Never Tear Us Apart; Underbelly Squizzy; Fat Tony; Rush; Farscape; Wildside; The Doctor Blake Mysteries; Heartbreak High; All Saints; McLeod’s Daughters; Ultraman and Monarch Cove); Television Producer Ian Collie (ABC TV Rake, starring Richard Roxburg and US Version of Rake, starring Greg Kinnear; Jack Irish, starring Guy Pearce, Marta Dusseldorp, Aaron Pedersen, Roy Billing, Shane Jacobson, Don Hany and Diana Glenn; The Principal, starring Alex Dimitriades, Aden Young and Mirrah Foulkes; 2013 feature Saving Mr Banks, starring Tom Hanks and Emma Thompson); and Australian film director and producer Tony Rogers, best known for directing the Tropfest and AFI award winning comedy Wilfred (starring Damian Walshe-Howling and Angus Sampson); producers Kristen Souvlis (Lightening Point, H20: Just Add Water) and Todd Fellman (Mental, Bait 3D, A few Best Men); Producer Tracey Robertson (Secrets & Lies, The Stange Calls, SLIDE) and Director Jovita O'Shaughnessy (Neighbours, Wonderland); Television Producer Natalie Lynch (Neighbours); Tony Ayres (Multi award-winning Show Creator/ Show Runner/ Executive Producer/ Writer/ Director and a founding member of Matchbox Pictures), Executive Producer Leigh McGrath (Hoodlum Entertainment); Senior Casting Director of Mullinars Casting, Nathan Lloyd; Jo Martino (Award-winning Prime Time Show Creator and Television Producer); and Prime Time Show Creator / Television Producer Judi McCrossin (The Wrong Girl; The Secret Life of Us; The Time of our Lives; The Surgeon; Beaconsfield; Tangle; and Ship to Shore). Originally from Singapore, Amanda worked in the film and television industry for four years before migrating to Australia. She has a Bachelor degree in Fine Arts, as well as a Master degree in Arts Management, both of which she graduated with high distinction. She was mentored by one of Australia’s finest casting directors for nearly a decade, during which time she worked on numerous Australian feature films, including THE DRESSMAKER, RED DOG: TRUE BLUE, A FEW BEST MEN, and MENTAL. She has worked on hundreds of hours of Australian and international television, including both seasons of MARCO MOLO for Netflix, both seasons of ABC’s THE CODE, and HIDING. Last year, she cast the first season of ABC’s PULSE (created by Kris Wyld, dir. Peter Andrikidis) - the casting of which has been celebrated as one of the most diverse ensembles on Australian television to date, and for which she was peer-nominated as a CGA finalist for Best Casting in a Drama / Miniseries. Amanda frequently performs consultancy work on international projects filming outside of Australia, conducting extensive searches for the likes of Disney’s MULAN, HBO’s SHARP OBJECTS (dir. Jean Marc-Vallee), and Sony’s CRASH AND BURN (for HULU). THE KING'S DAUGHTER starring Pierce Brosnan, William Hurt & Rachel Griffiths has a 2018 release, and she regularly works with network NBC on key roles during pilot season. The Sydney based Casting Director has just wrapped on casting the Australian feature BACK OF THE NET (starring Disney’s Sofia Wyllie), and the SBS miniseries, ON THE ROPES, produced by Helen Bowden (THE SLAP). She is currently casting season two of HARROW, produced by ABC International & Hoodlum Entertainment, and has a number of national and international projects slated for 2018/2019. SCOTT MAJOR'S acting début was playing Murray on Home & Away in the 1990s. He joined the Neighbours cast for a brief period in 1993 as the original Darren Stark and then was a part of the Heartbreak High cast as Peter Rivers from 1994–1995. In 1998 Scott appeared in All Saints- Season 2. In 1999 he was cast in the Aussie film Envy (titled as The New Girlfriend in the United States). Two years later he featured in the iconic film adaptation of He Died With A Felafel In His Hand. Scott also played the part of Tom Morgan in the Australian drama, Always Greener, which was shown on the Seven Network between 2001 and 2003. He also wrote, produced, directed and starred in his own play called Both Sides of the Bar at the Edinburgh Festival Fringe. Scott then went on to guest star in the BBC soap Doctors and the second series of Love Soup, a BBC comedy starring Tamsin Greig. He now resides in Melbourne and began appearing in Neighbours from July 2008 as Lucas Fitzgerald. In 2013 Scott left the show to persue his passion for Directing. He is now part of the directing team on Neighbours, and has just finished directing the highly anticipated new Aussie drama, Playing for Keeps, for the Ten Network.